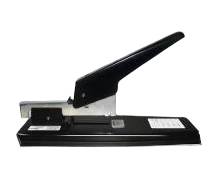 The Heavy Duty metal constructed stapler is designed for stapling up to 100 sheets. It's ideal for printing shops, offices, schools and individual uses. Throat depth adjustable up to 2.75"